Everyone can now take a huge sigh of relief. Baseball has returned to our lives. I found cheap tickets ($2, to be precise) to the last exhibition game held in Citizen’s Bank Park before the season officially started. 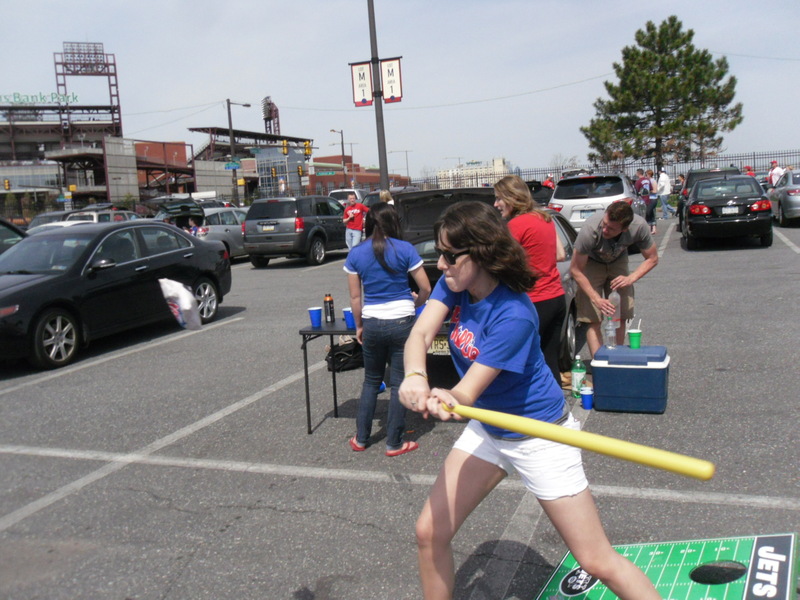 So Ali, Tyler, TJ, Coleman and Ali’s two friends–Jake and Nikki–and I enjoyed an afternoon of tailgating and Phillies. We set our alarms, packed my car, and got to our usual spot (Lot M) bright and early to start the celebration. We tailgated for a few hours before the 1:05 game. I even showed off my masterful skills in a gentleman’s game of wiffle ball. This should be framed for all of eternity. Yes, there was no actual 'wiffle ball', we were forced to use bean bags. I’ll be one of the first to say, there really are no “bad-seats” in the Bank. We were on the upper deck in 309. I know Coleman wouldn’t argue. He’d originally met us in the parking lot just to tailgate. But Ali bought a $10 ticket from a scalper outside the park as we walked in. 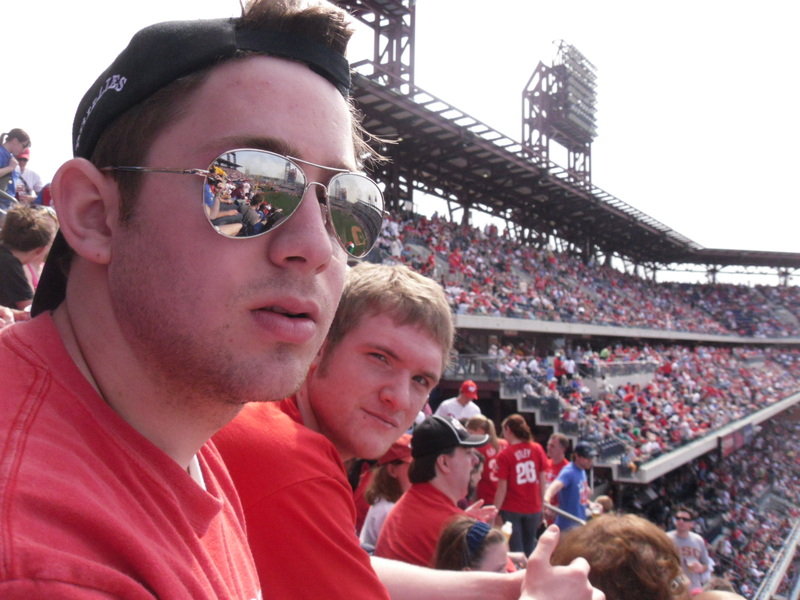 I hope you enjoyed missing you’re little brother’s birthday for a Phillies game, Coleman! TJ is sporting women’s MY sunglasses, while Coleman is actually sporting somewhat of a smile. For those of you who don’t know Mr. Coleman. He has no first name, and is the most evil heathen ever. Not really. But he finds humor in the most devious aspects of life. So now that the season has begun, I feel just a little bit happier. It’s as if my life has purpose again–to follow each and every game, pitch, home run, walk, hit, ball and strike from now until October. Go Phils!